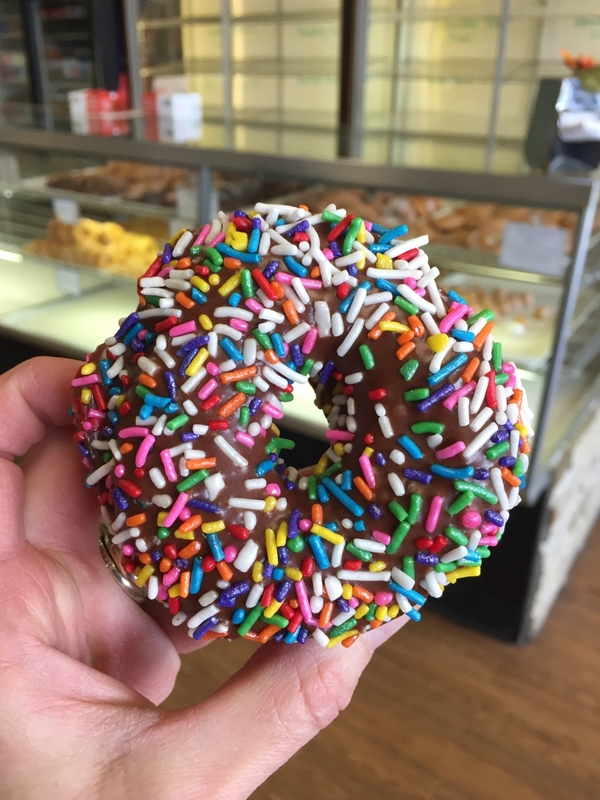 Visit 12 locally-owned donut shops to complete the Butler County Donut Trail! 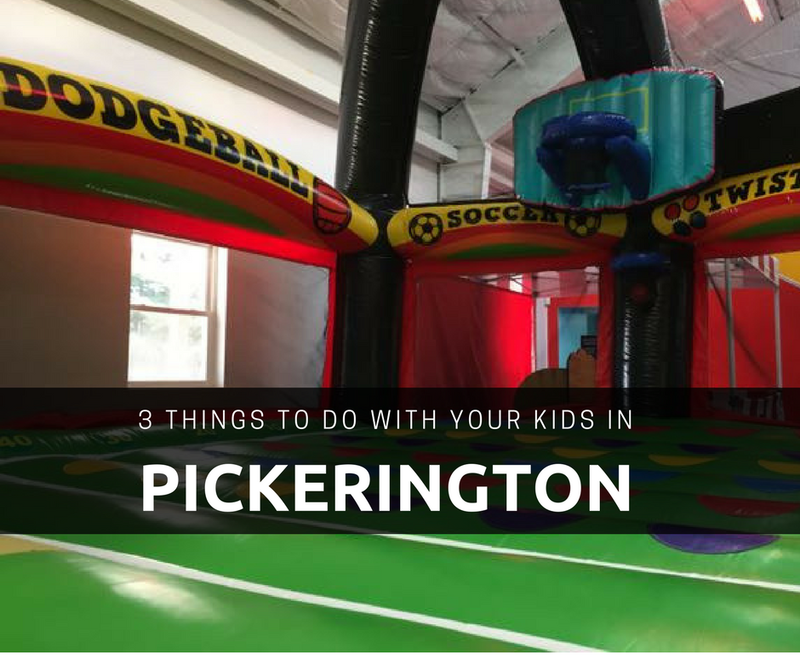 This post was written in partnership with Butler County Visitors Bureau. 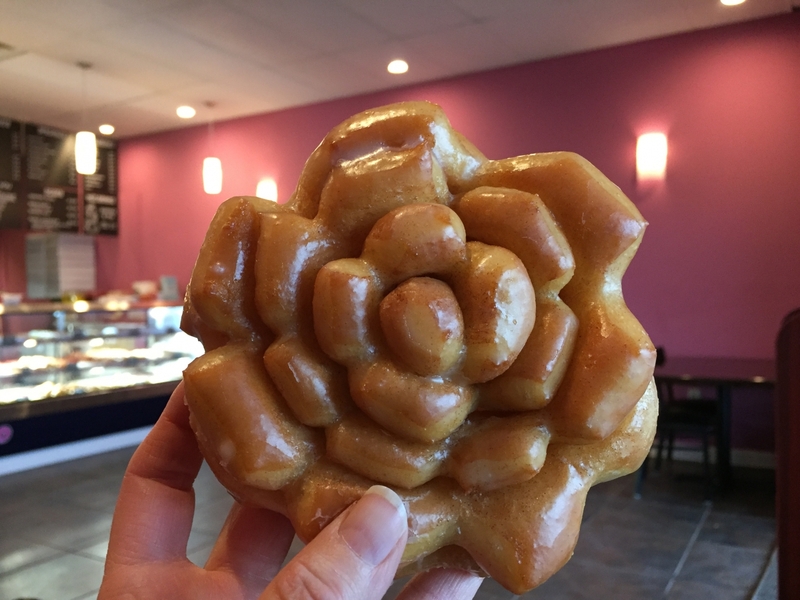 Butler County, Ohio, just 20 minutes North of Cincinnati and 90 minutes south of Columbus boasts the largest number of donut shops per capita in the Midwest – maybe even in the country! 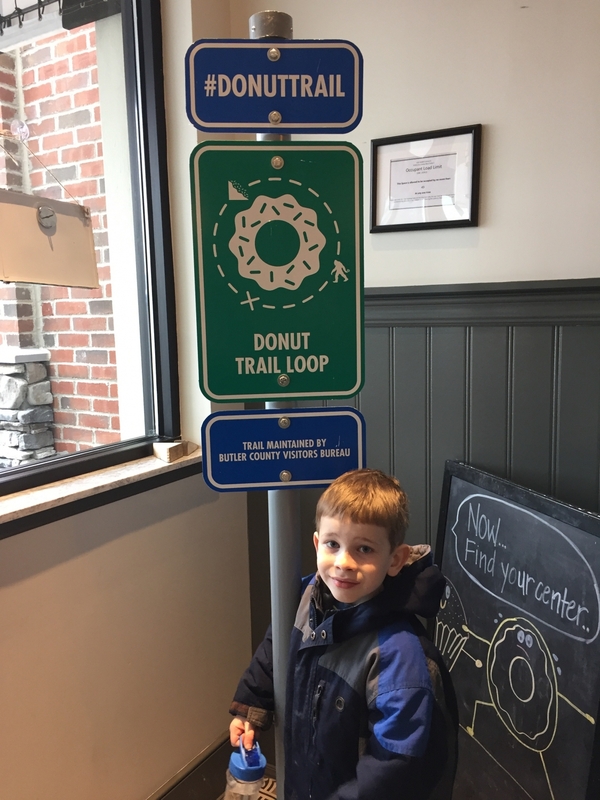 My family and I spent Spring Break exploring Butler County and one of the first things we did was hit the Donut Trail! 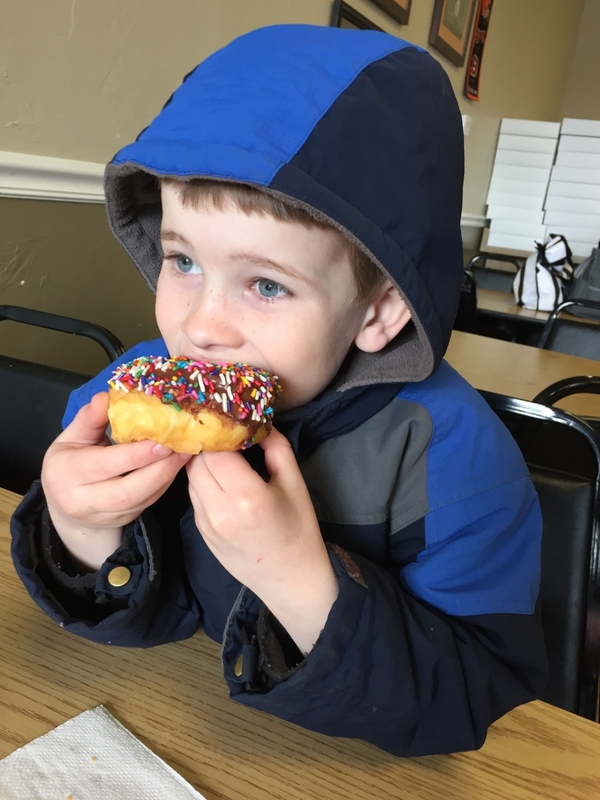 The Butler County Donut Trail consists of 12 stops. 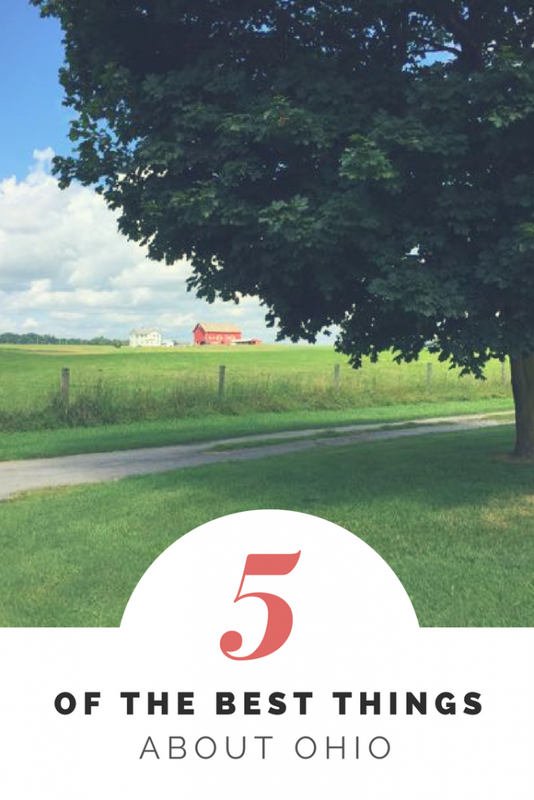 At any stop you can pick up a Passport to keep track of your progress! 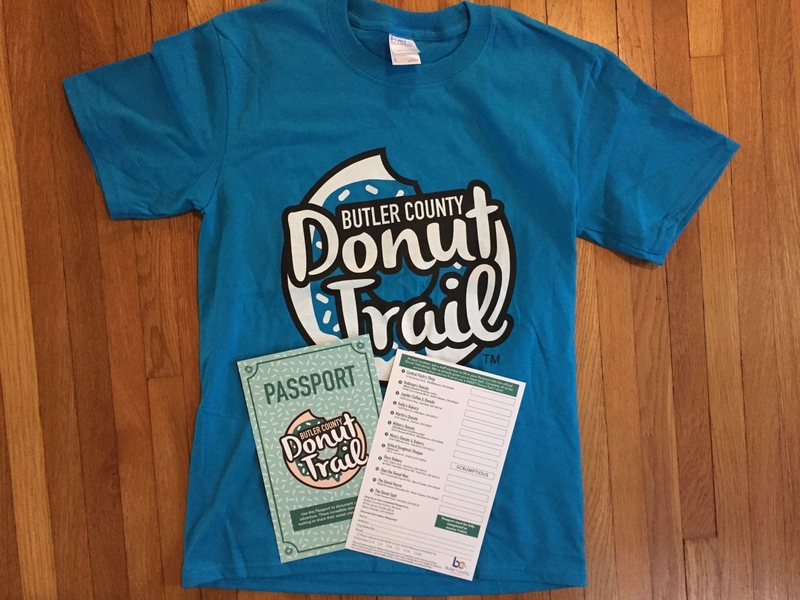 At each stop, get the passport stamped with the official Donut Trail stamp and when you’re finished, you can turn in or mail in your passport to the Butler county Visitor’s Bureau to receive an official t-shirt! 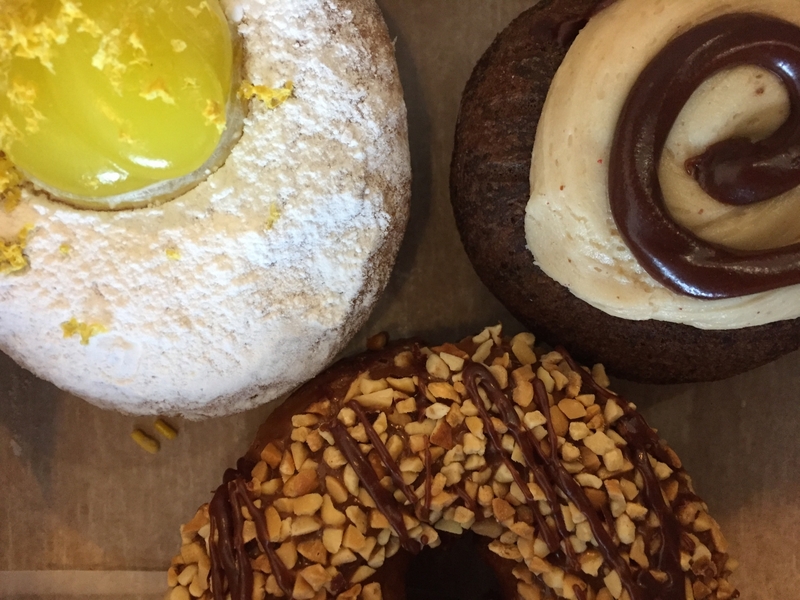 The donut shops open early – some as early as 5:00 AM – and they may sell out. 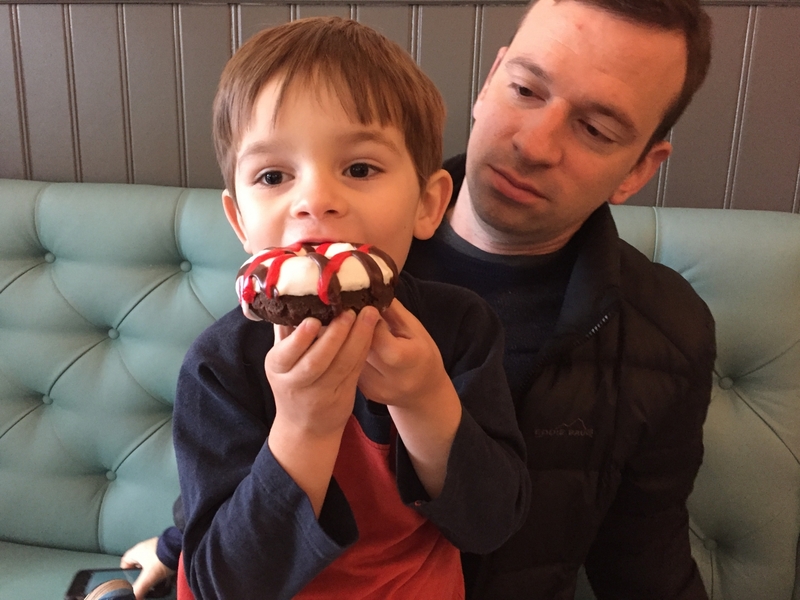 When the donut shops sell out, they close up, so you want to set your alarm early and get a head start! 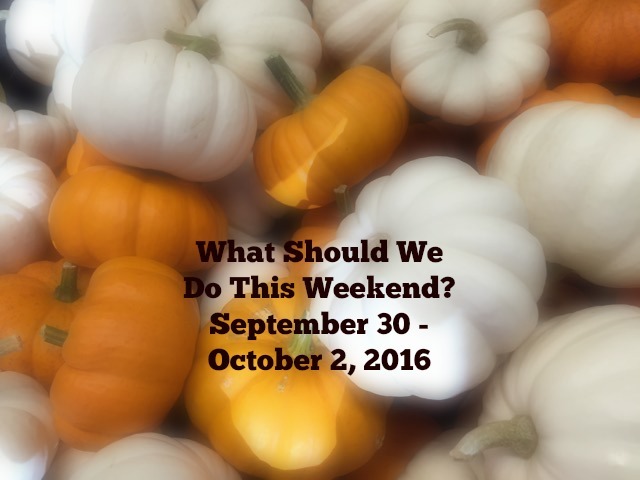 Make sure to study the map before you head out. 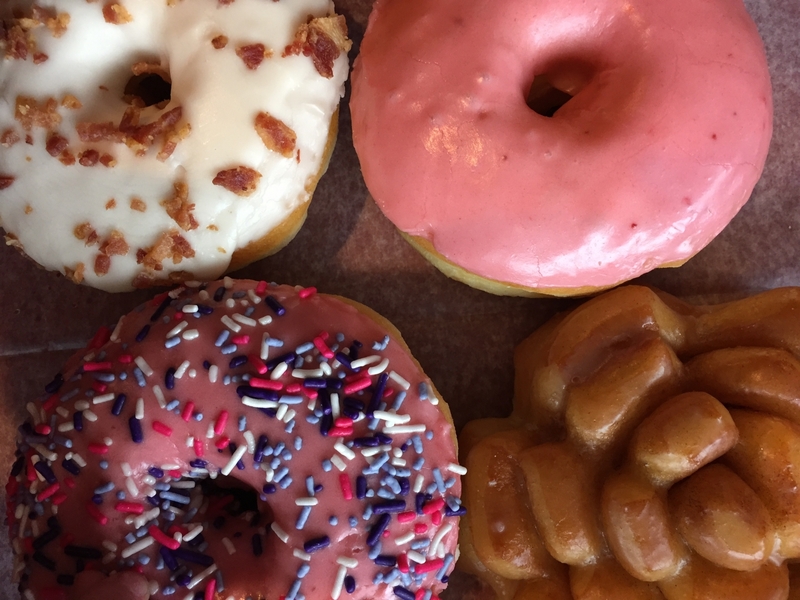 The donut shops are in 6 different cities and can be anywhere from 5-30 minutes from each other, so you may want to spend a few different mornings hitting the different corners of the county. 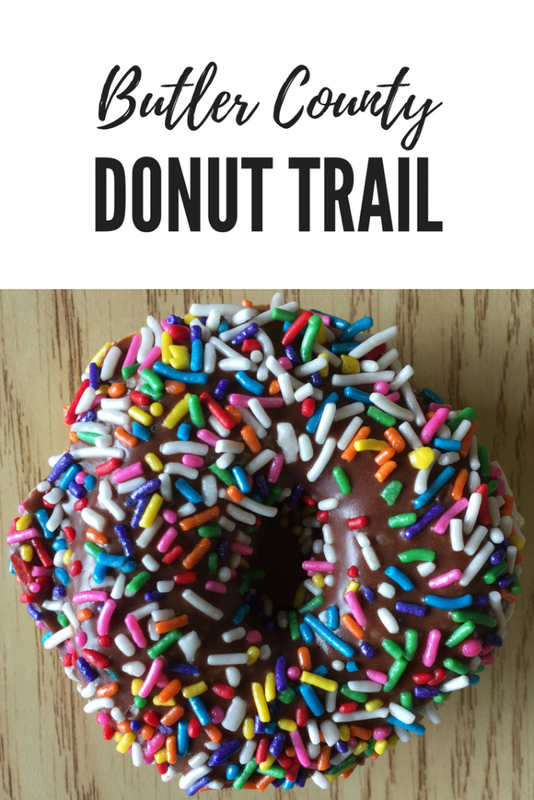 Search for and share your posts on social media using #donuttrail Scope out your plan of attack ahead of time by following the Butler County Donut Trail on Facebook or Instagram! 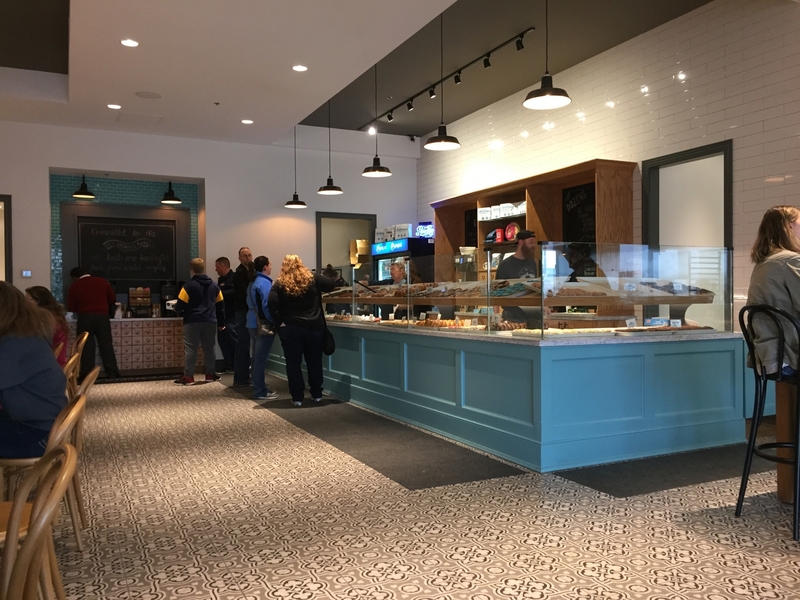 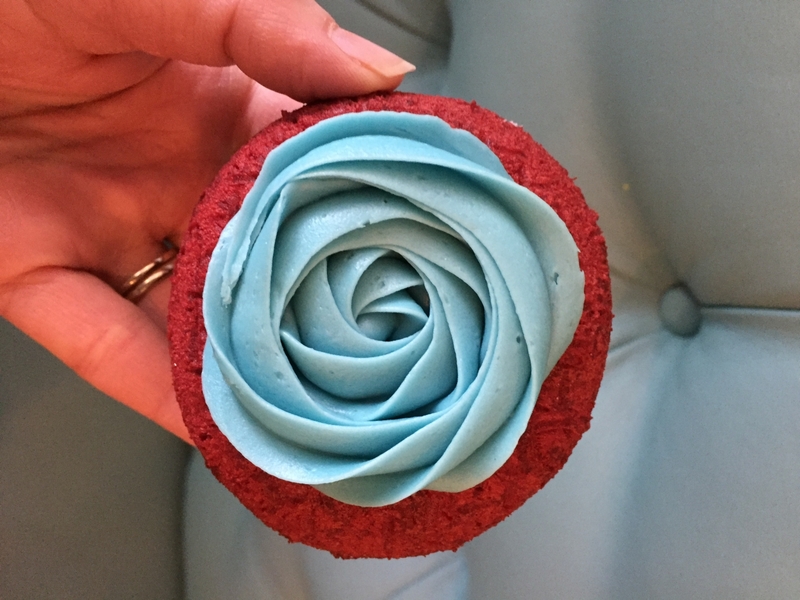 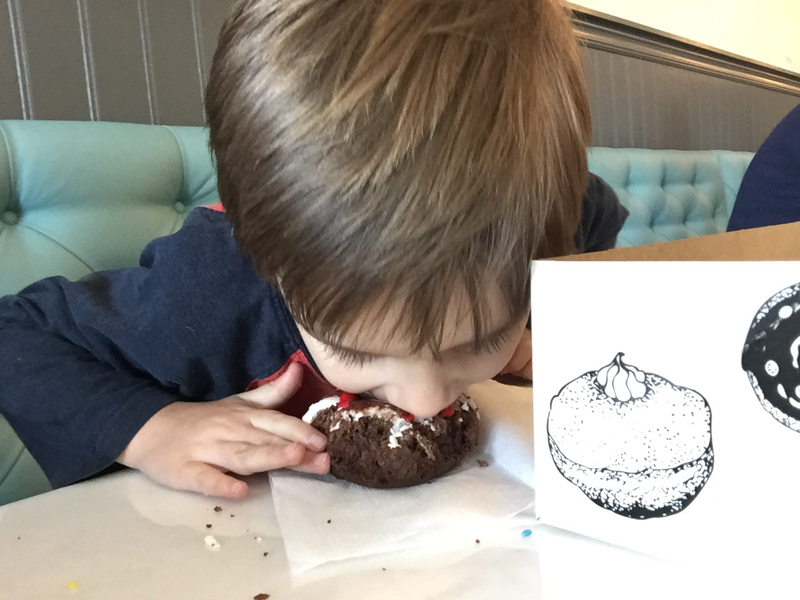 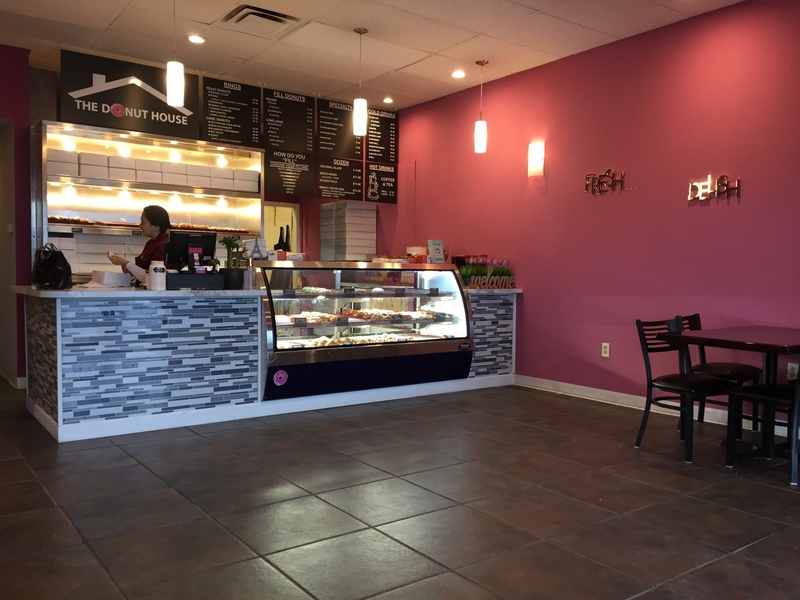 Hultman’s Donuts is a modern donut shop with fancy and zany donut options! 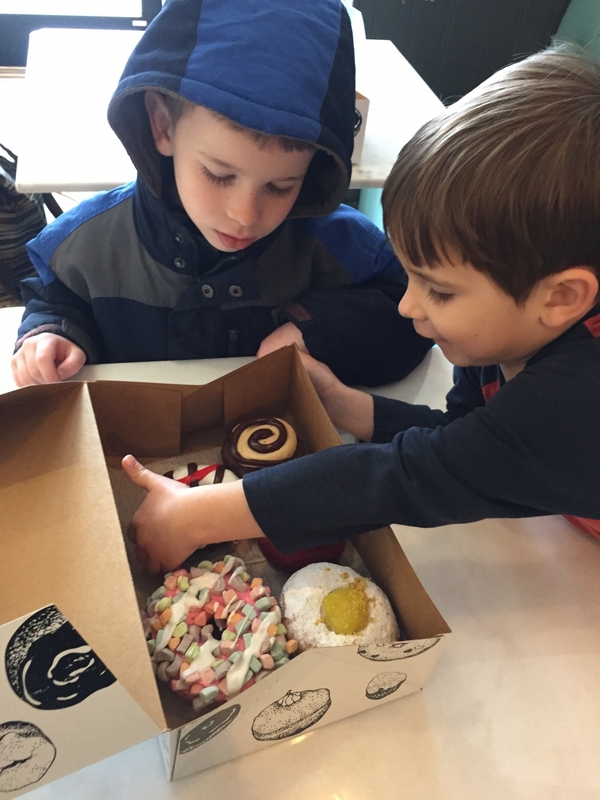 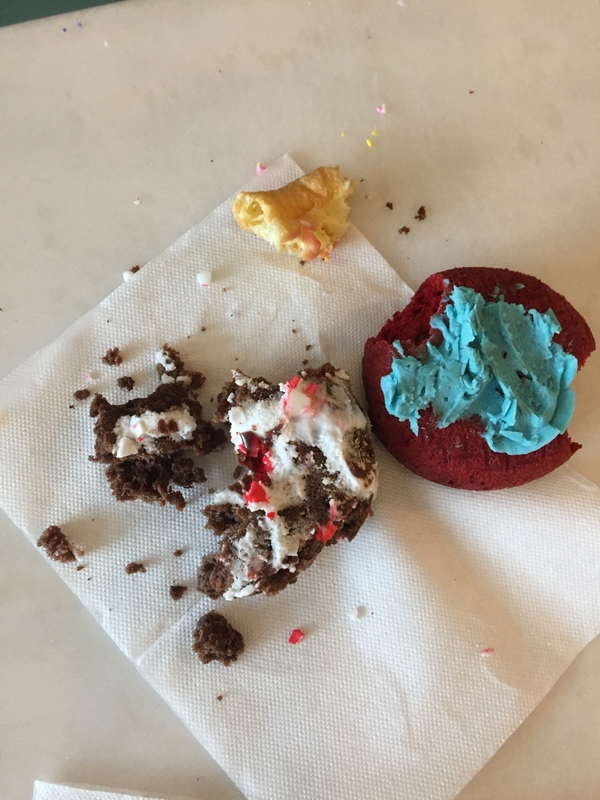 My kids go for those “lots of toppings” donuts like the Lucky Charms donut (which was actually really good!)! 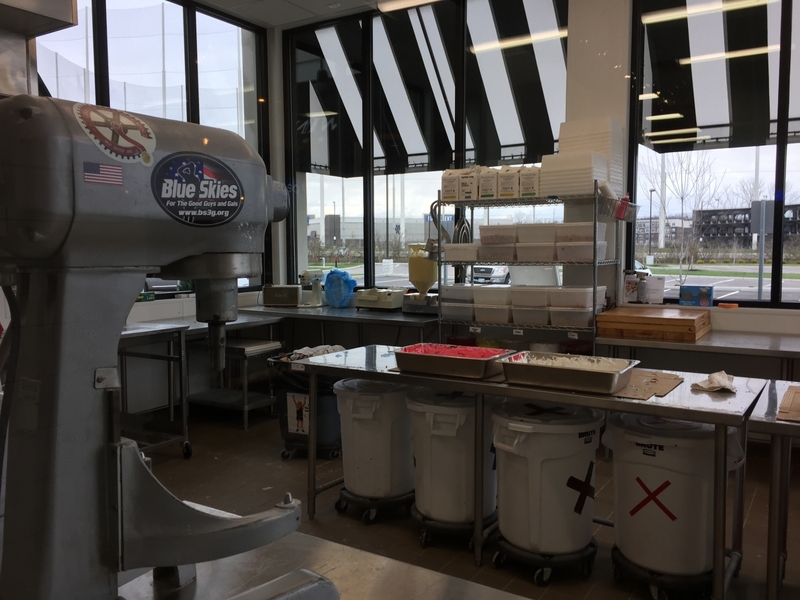 Also at Holtman’s Donuts are two large viewing windows were you can watch the donuts being made. 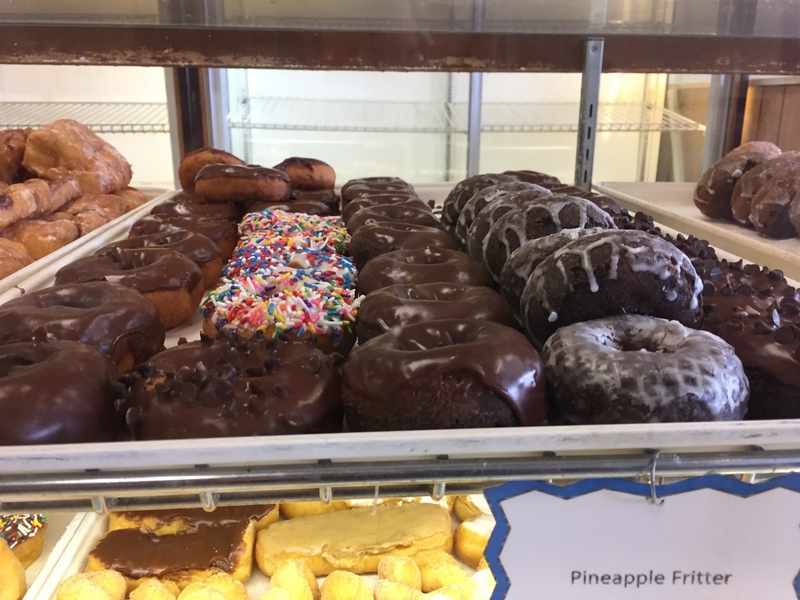 Stan the Donut Man is a no frills donut shop just like I remember from my childhood. 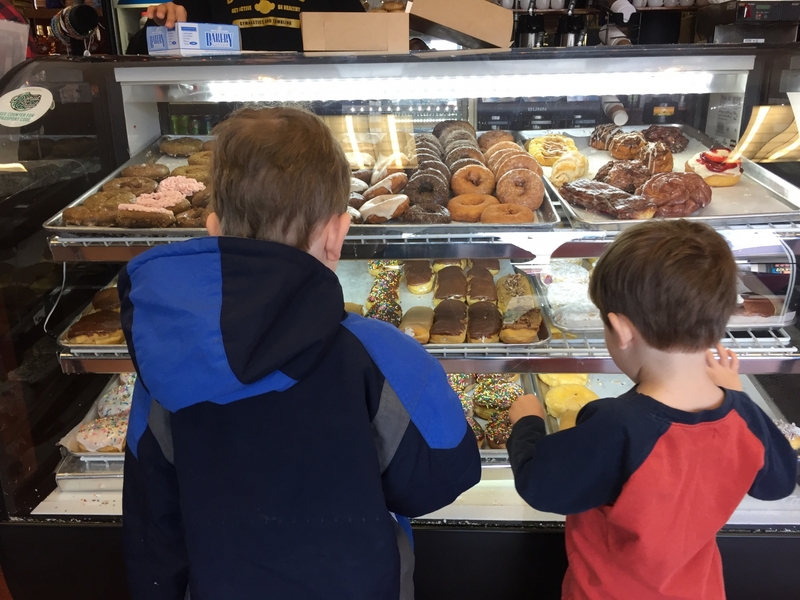 It was obviously popular because they were pretty wiped out by the time we got there at 10:00 AM! 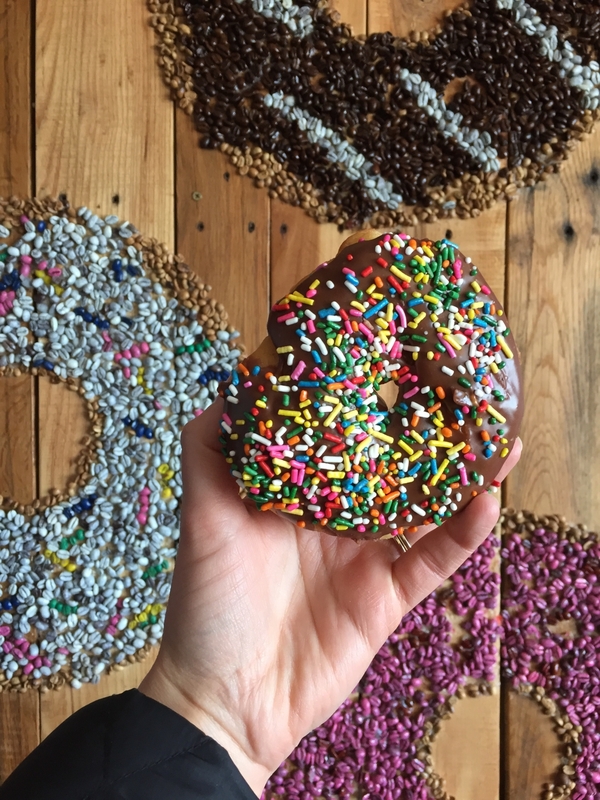 The Donut House has a fun vibe! 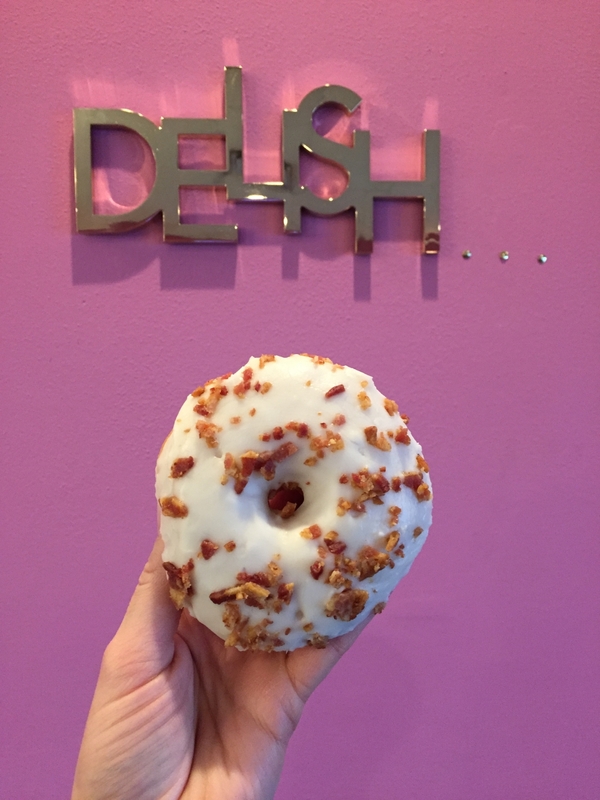 I really liked the pull apart cinnamon donut and my husband got maple bacon! 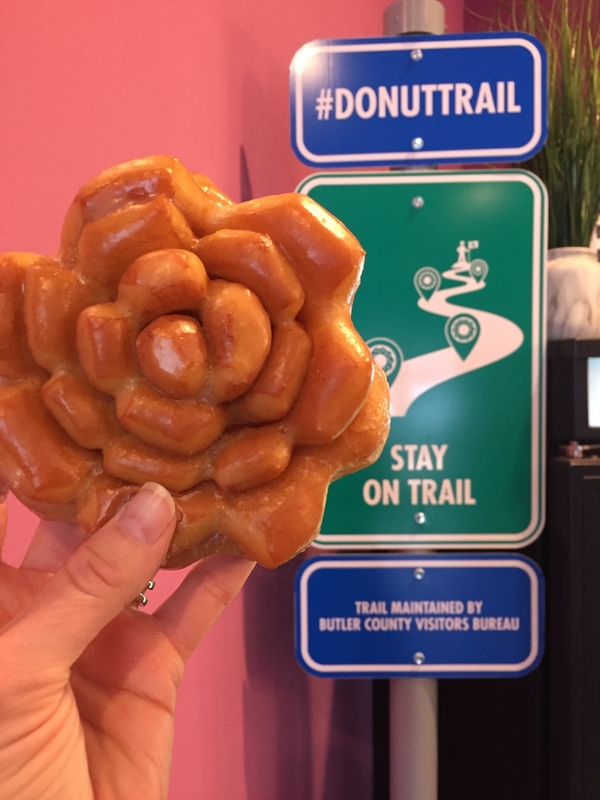 Don’t miss the opportunities to take your pictures by the trail sign at each location! 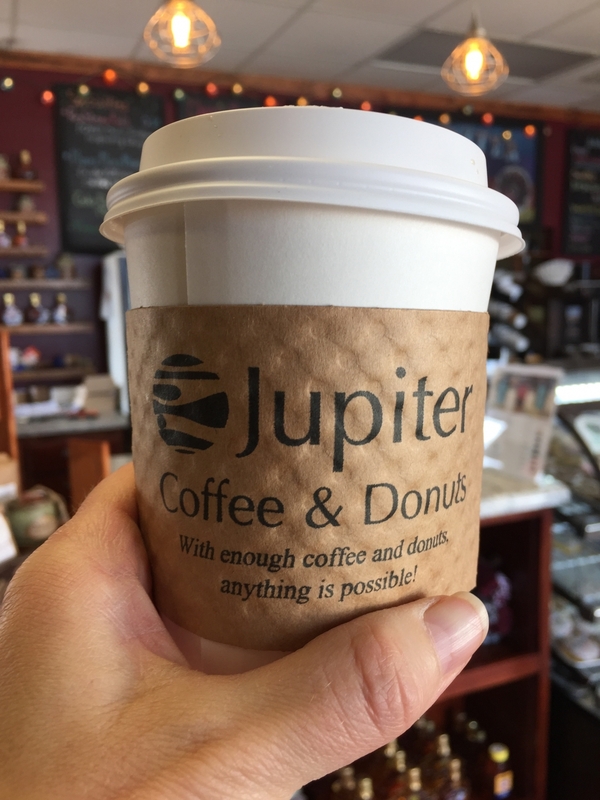 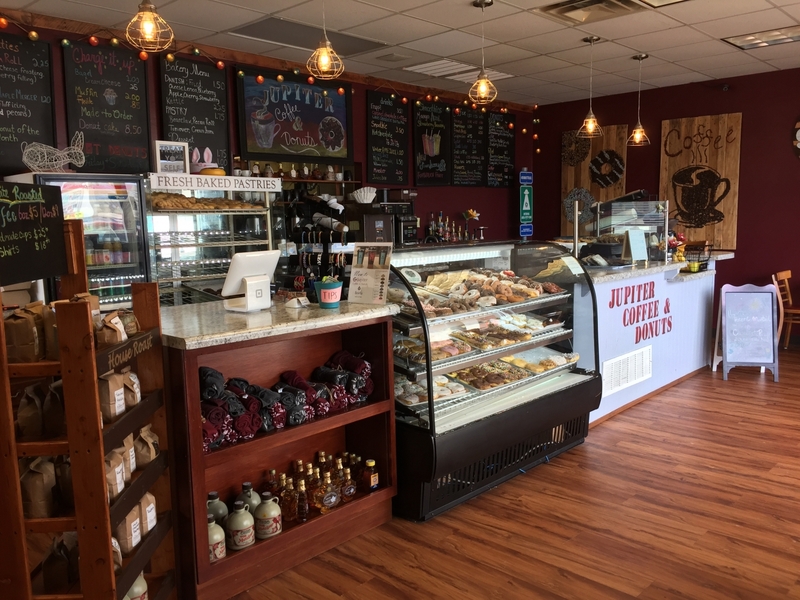 Of the donut shops we visited, Jupiter Coffee and Donuts had the most coffee options. 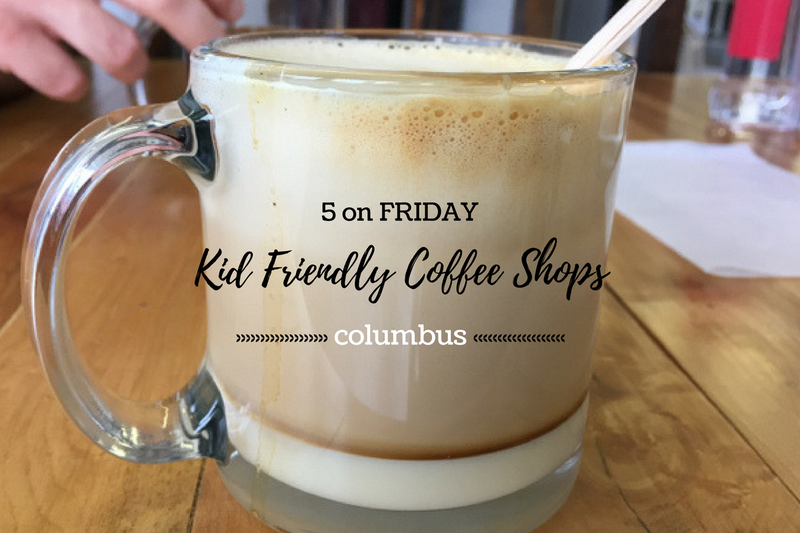 I got a latte here and it was really good! 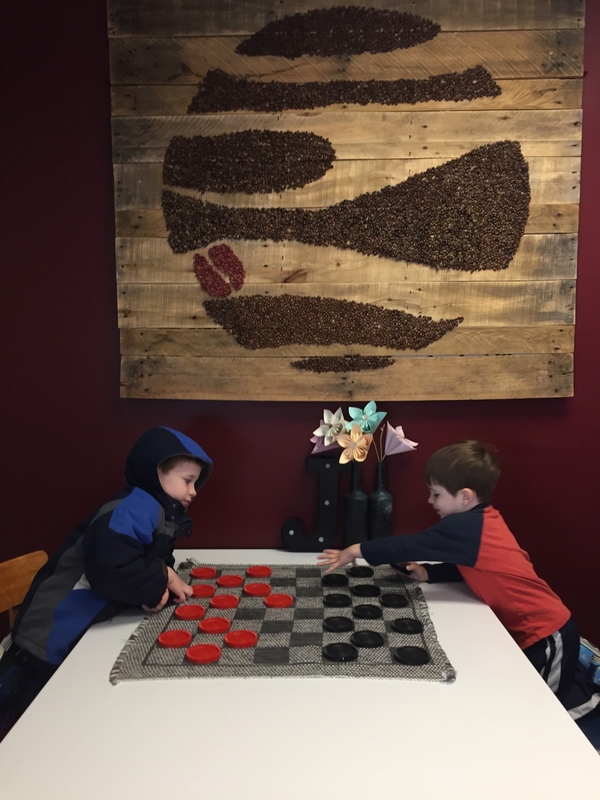 It has more of a coffee shop feel and the kids played checkers instead of eating donuts! 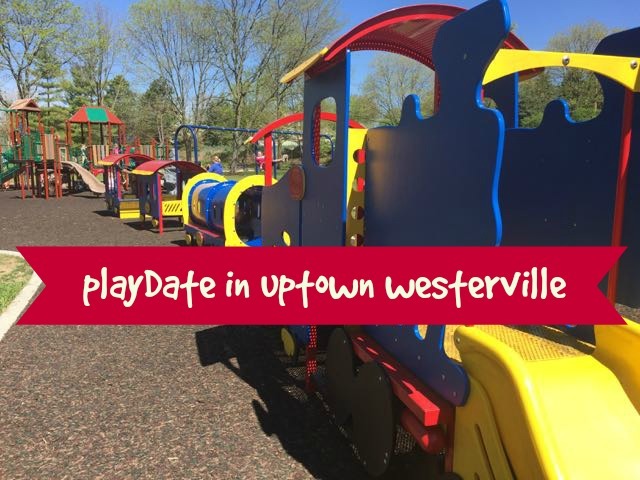 Now we just have to figure out when we’re going to go back and do the other 8 stops! 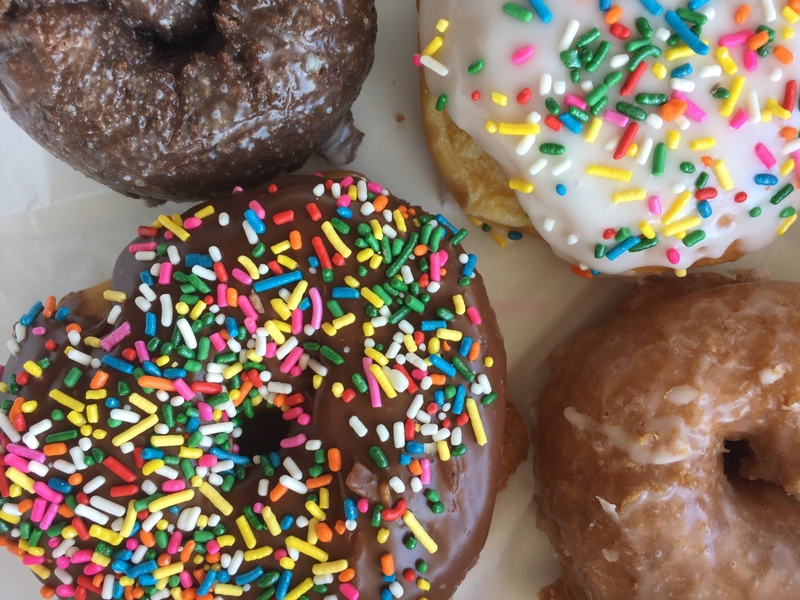 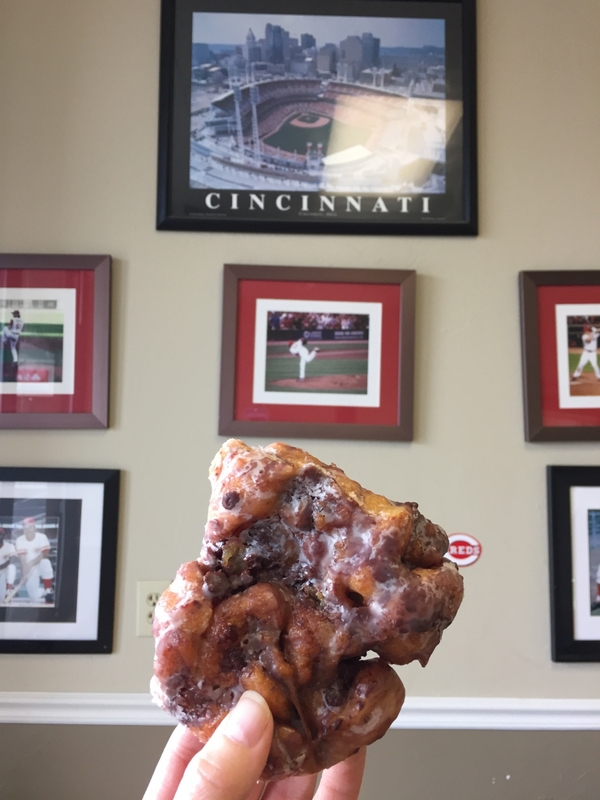 🙂 Have you done the donut trail or have a favorite Butler County donut? 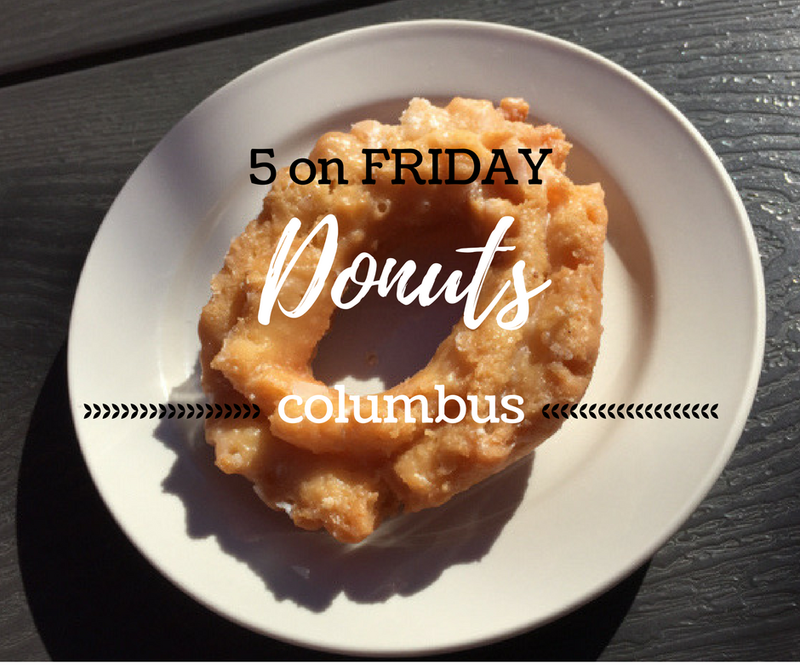 ICYMI: 5 of the Best Things About Ohio! 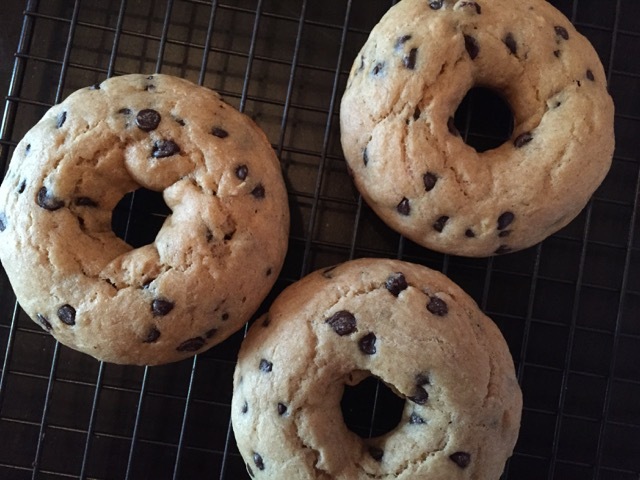 When my kid wakes up at 4:50AM, I make DONUTS!